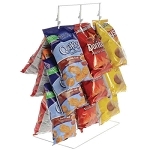 Best Selling Wire Displays come in a wide range of shapes and sizes. 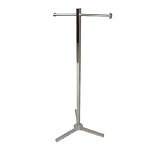 Selecting the right display fixtures for your business can be an excruciating task. We have taken out the guess work for you and provided you with this category to inform you what is popular with our other shoppers. 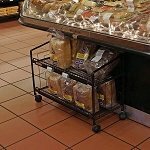 Double Sided Slim Bin Slatgridwall - 4ft. 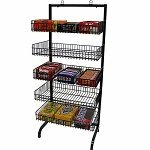 The most popular and proven wire store displays range from freestanding floor fixtures to spinning counter exhibits with peg hooks and most everything in between. 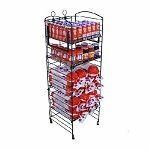 Top selling wire displays are designed to help grow your business by offering merchandise in a neatly organized and professional manner. 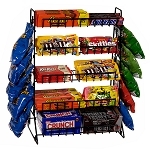 Metal counter top displays are useful for a wide variety of materials such as fruit, candy, baseball caps, bags of chips, cracker snacks and more. 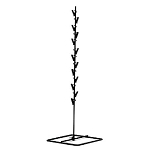 Each piece of merchandise fits on a specific type of wire stand designed just for that product. 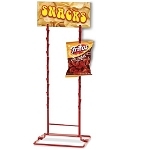 Chips and snacks fit well with the clip strips. 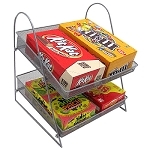 Boxed candy conforms to two and three tiered racks nicely. 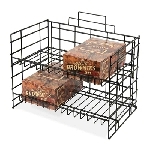 Fruits and vegetables are perfect when advertised in wire baskets. 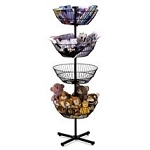 CD's and DVD's are ideal advertised on our 6 Pocket Counter Display. Peg bagged candy, carded jewelry and other blister packed materials work nicely on spinning peg hooks for shoppers to search. Style and preference is an individuals choice. 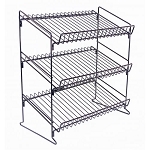 Wire Display Shelves vary in size, number of shelves, adjustable or fixed shelves, portable or stationary fixtures. 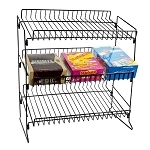 Under counter display rack with four shelves that fits snugly under service counters and is great for sweet treats like boxed donuts, candy and other last minute deals. 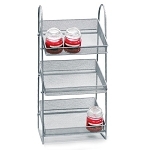 The Bronze Hammer Tone 5 Shelf is a fold-able fixture offers an exquisite style and details. 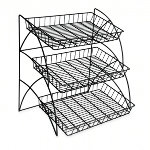 The shelves are adjustable and ideal in spas, massage facilities and more. 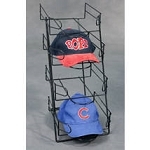 Grid wall exhibits can showcase slim bins, peg hooks and more. 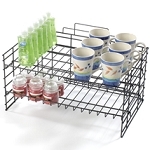 Advertise materials ranging from coffee mugs, carded jewelry, apparel accessories and more. Fun part about grids, you can use both sides and sell more materials yet take up a small amount of floor space. 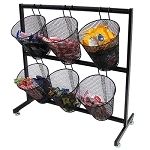 The six and nine bucket counter stands are ideal for arcades and candy stores offering a variety of small trinkets and various candies for patrons to choose from. 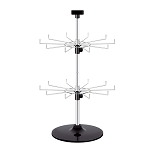 Add fixtures that have been proven to work and are the top selling wire stands offered. 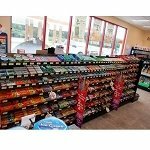 You are sure to find a winning combination for your store and display needs. Increasing business activities and sales are a never ending task if you want to be successful and profitable. 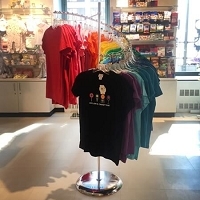 Advertising merchandise on the appropriate display fixture can be just as profitable by keeping your returning clients happy, enticing new shoppers with the professional appearance of the materials and offering shoppers top notch merchandise. 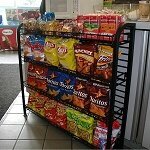 Check out the top performance wire displays recommended from other customers. 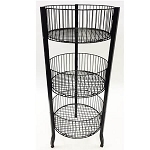 Order your wire displays today and save!